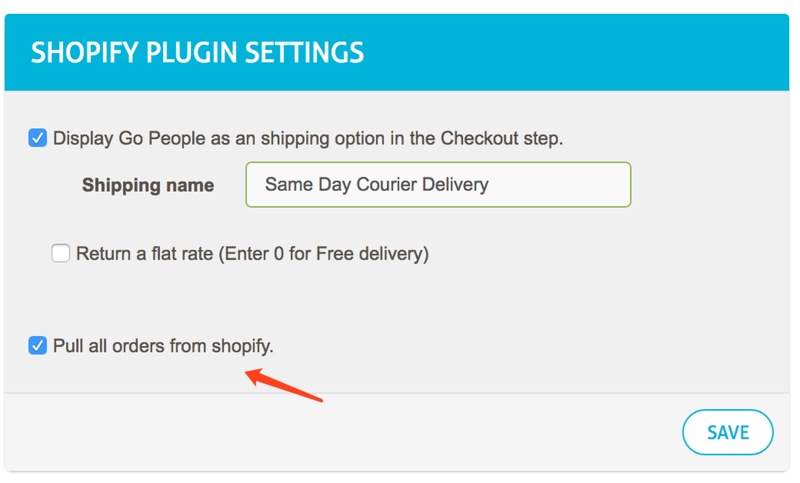 In the settings option, check the ‘Pull all orders from shopify’ tick box, and click SAVE. The orders will be generated automatically in the “Orders from carts” page when your customers check out. 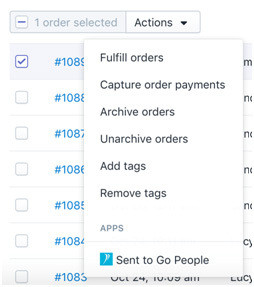 If you are using a Shopify Advanced Plan, uncheck ‘Pull all orders from shopify’ which means the orders will only be synced when the customer selects ‘Go People’ as shipping method. 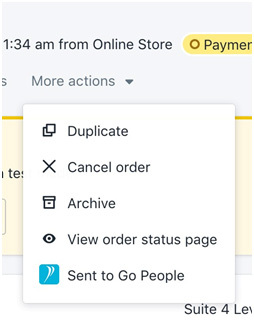 If you are using other Shopify Plans, uncheck ‘Pull all orders from shopify’ which means you will have to sync the order(s) manually. Choose an unfilled order from your order list and go to the order details page. On the top of the details page, click “More actions” drop down list and click on ‘Send to Go People’. It will then redirect the page to Go People “Orders from carts” page, and the order details will be loaded automatically.